Characters over the years. I wanted to see the whole thing so I did a screencap and think it looks pretty cool. (Thanks SilverPatronus! 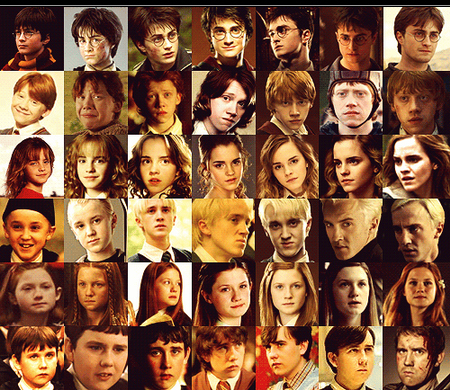 I borrowed a part of their art.... Wallpaper and background images in the Harry Potter club tagged: harry potter icons characters cast potter actors over the years 1-7.